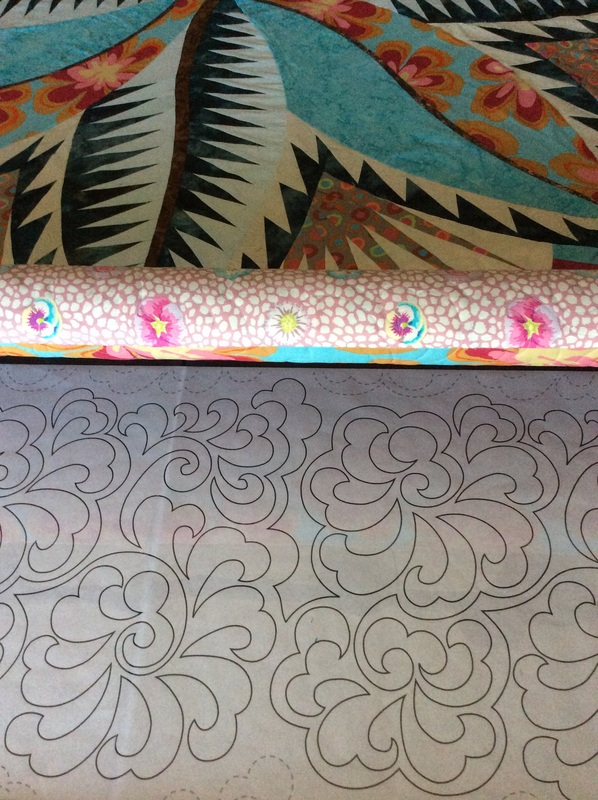 Please follow me in 2016 as I pursue my quilting dreams! I am also on Instagram, Facebook and YouTube. The trendy term these days for hand stitching projects is “Slow Sewing.” In the busy pace of life, it is a joy to slow down and create things with your own two hands. 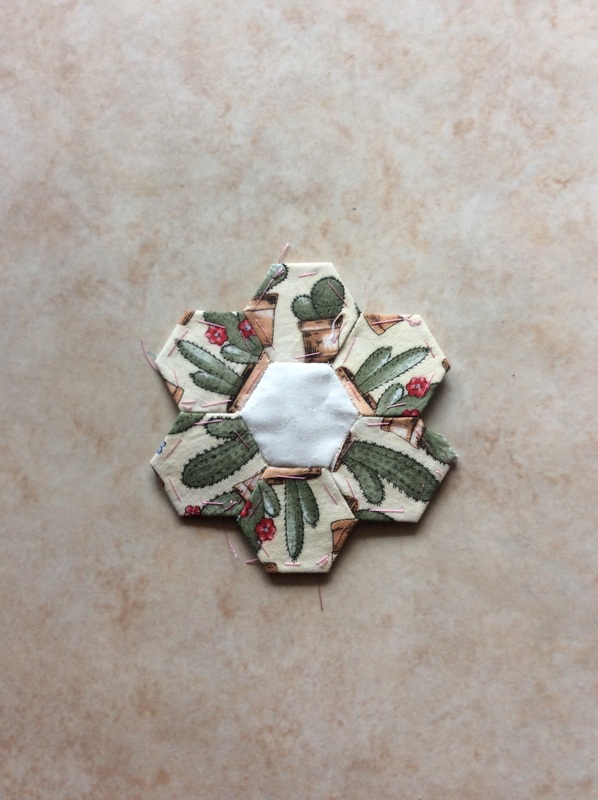 This summer I started a hexagon project using the English Paper Piecing technique of basting fabric around a cardstock template, then whip-stitching the pieces into larger shapes. The traditional shape is a called Grandma’s Flower Garden. with the ultimate plan of making an Argyle pattern. It was easy to make this diagram in EQ7. 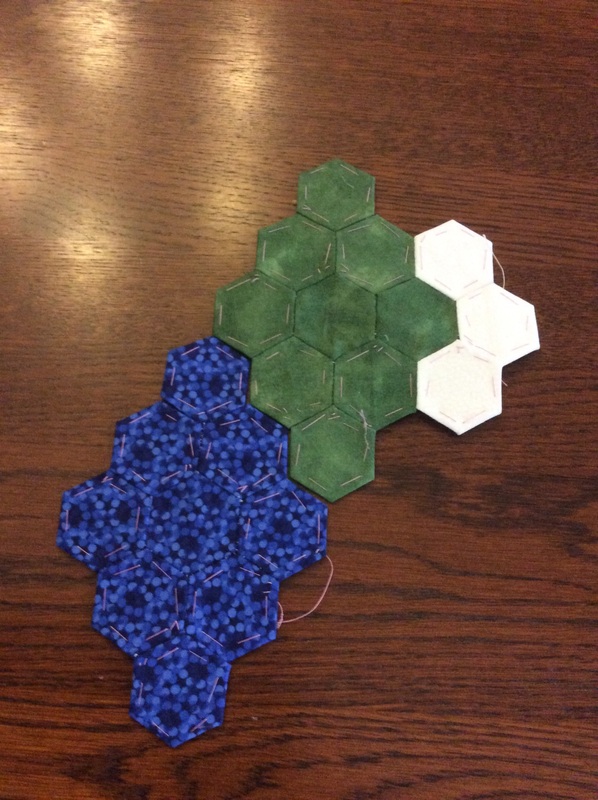 Under the Quilt tab, select One Patch Quilt, and it defaults to hexagons. The layout is a bit skewed since I didn’t start coloring on the correct row. 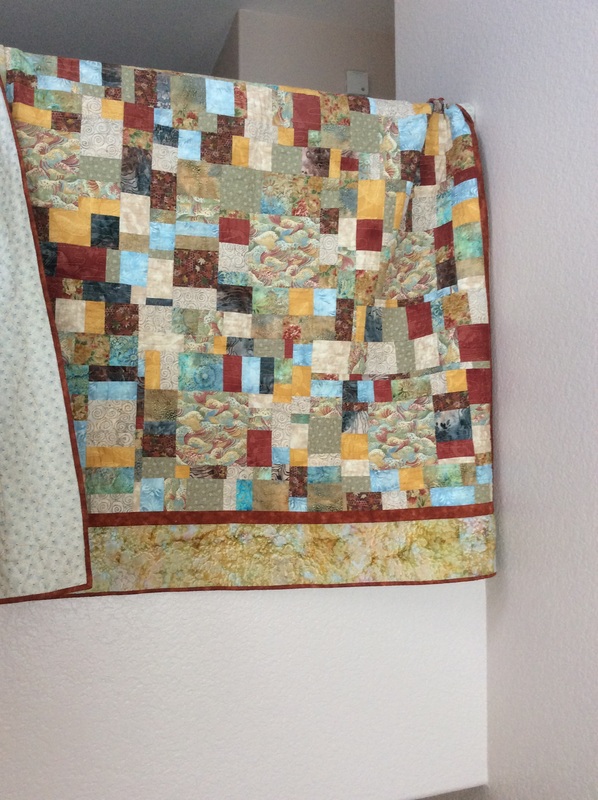 My piece will be turned 90 degrees, but I didn’t figure out how to rotate the quilt in EQ7. I’ll probably be working on this for the next 20 years! 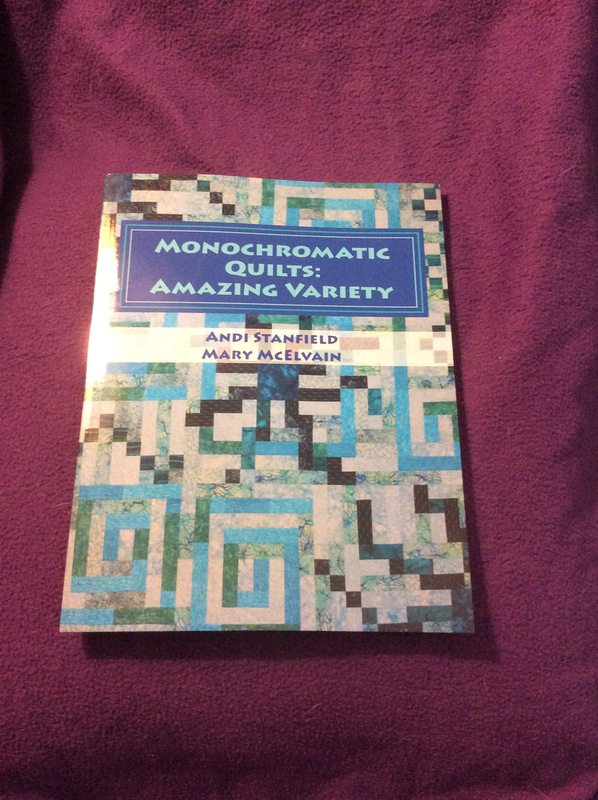 Here is another project that I had to put my own spin on…the Mitered Square Blanket. This example shows the standard layout. I loved the idea of a multi-color project, so I chose a bunch of colors, but instead of making squares, I had the brilliant idea to use a layout called “Card Trick” where each color combination is found in 3 blocks and they look like an overlapping deck of cards. 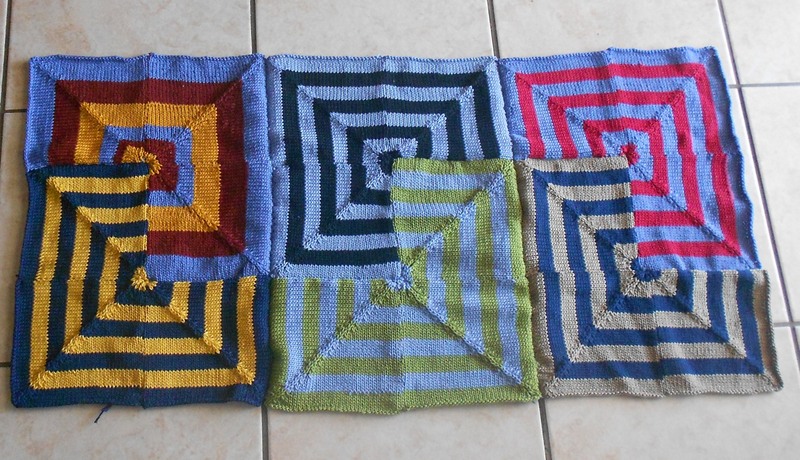 The blocks were fun to knit…way back in 2008?!?!? The seaming got the best of me, however, due to all those zig-zags. I think I have all the groups of three seamed, and even a good chunk of larger sections. 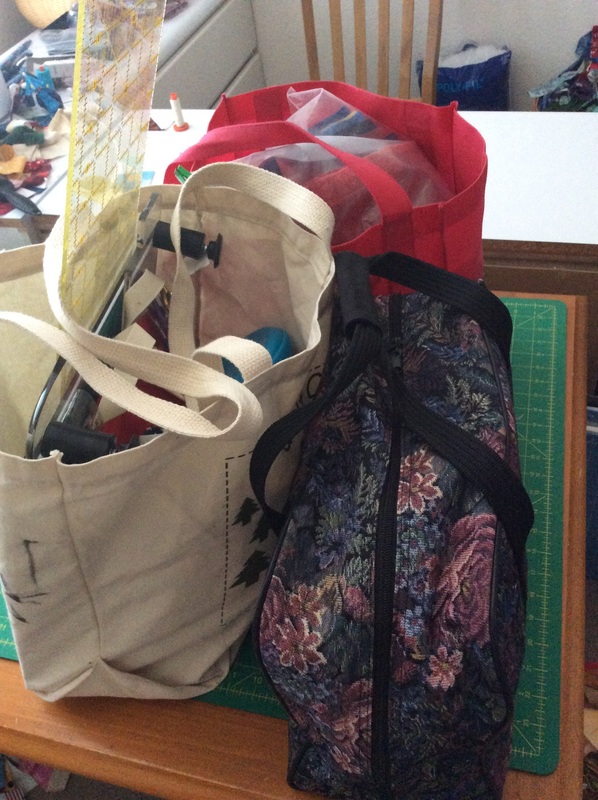 When I glance at the box where this project is stored, I always think that if I just sewed one seam per day, I could finish it up…and then I pick up something else to work on! What projects have you set aside? Is it time to finish them or donate to someone who will? 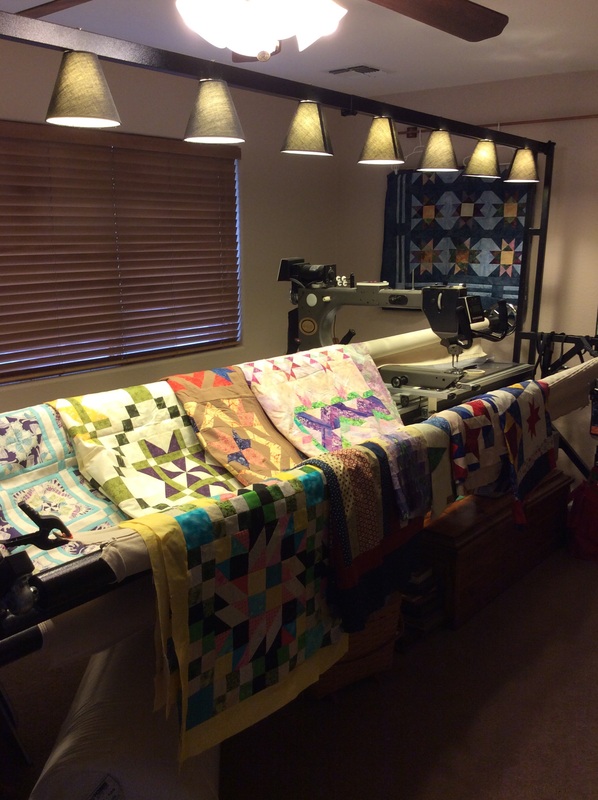 I loaded a customer quilt on the longarm. I am using a pantograph. The quilt is Fire Island Hosta by Judy Niemeyer. 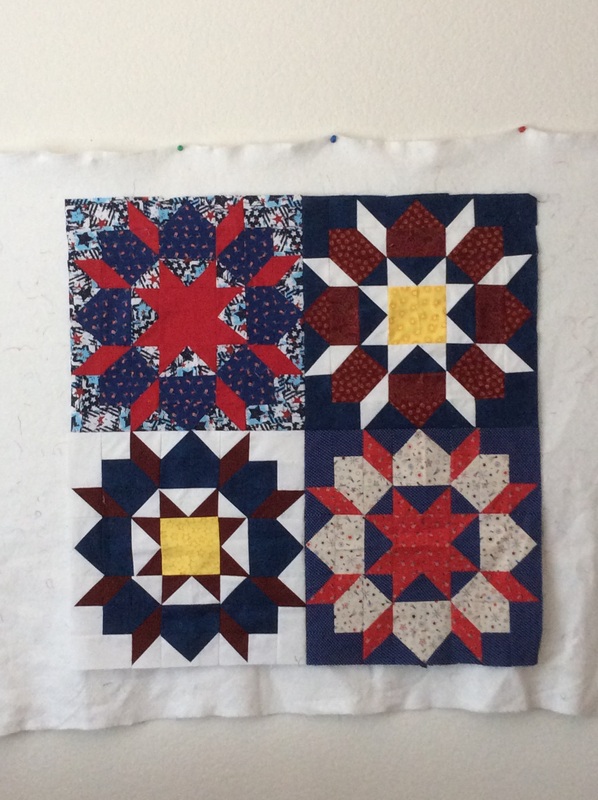 I showed the Swoon quilt in my last post about unfinished objects. I got the borders on it to bring it to the required size for a QOV. Now I need to finish the back. This is the part I tend to overlook, which really slows down my progress. I have a stack of quilt tops ready to be finished, but if I don’t have a backing, then the longarm sits idle while I move on to the next piecing project. Talk about a Catch-22!! If I get the back ready with the top it will speed up the whole process. Easy enough in theory, let’s see if I can make it happen consistently. I am using four leftover Swoon blocks for the back, and I have plenty of yardage in my stash to bring it to size. 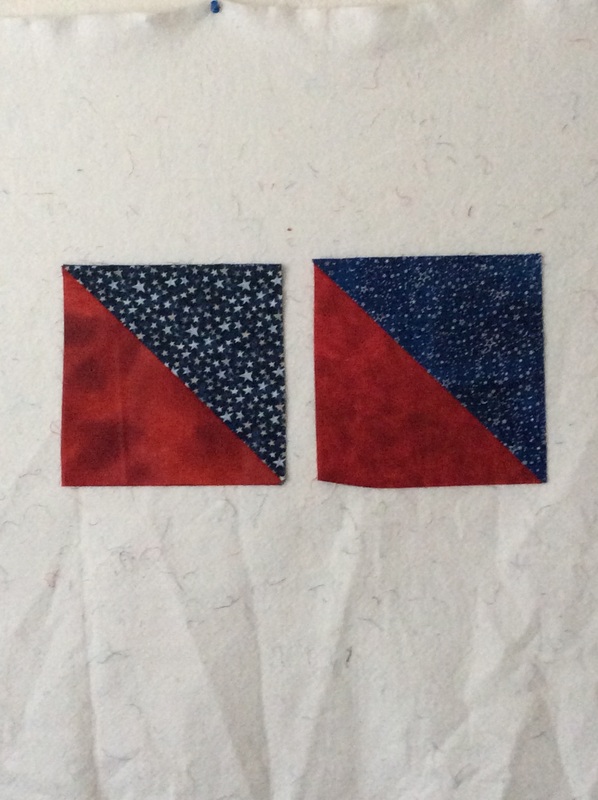 I did get the two wall-hangings quilted and they are ready for binding. I am sure I can find something on TV this afternoon for background noise while I sew! What are you working on today?